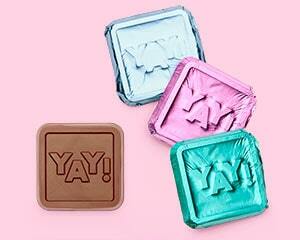 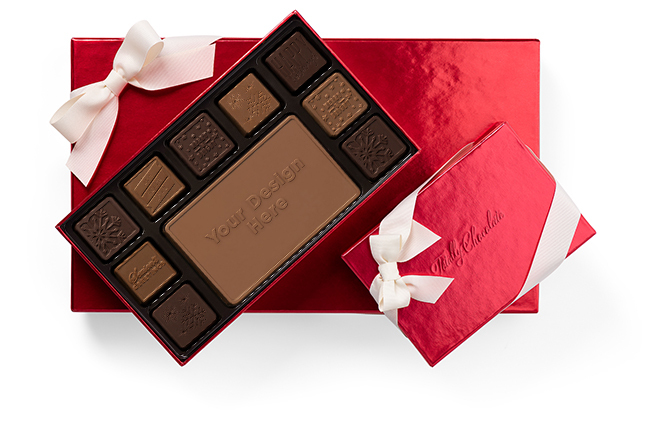 Guaranteed to please all chocolate lovers. 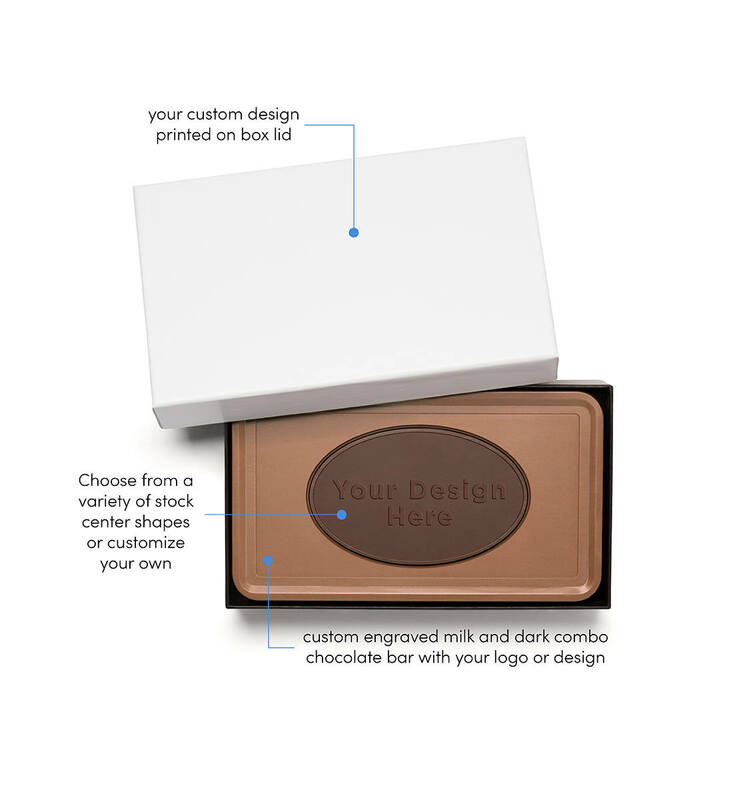 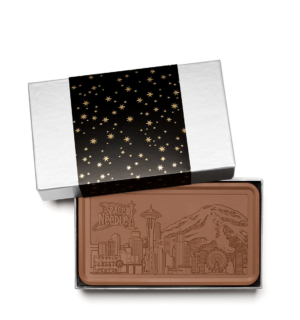 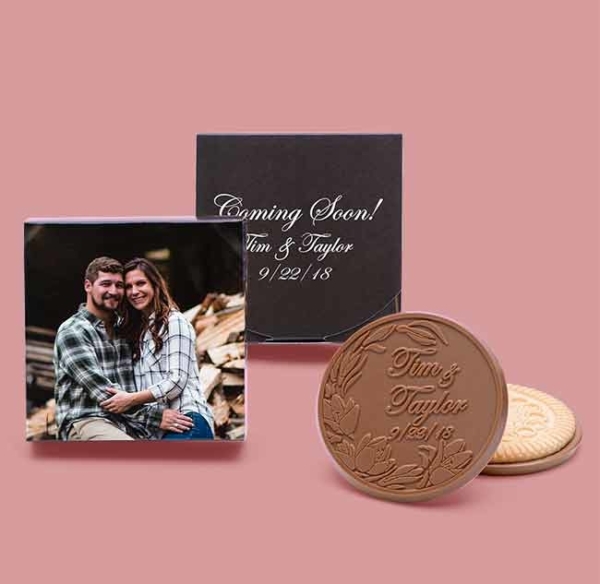 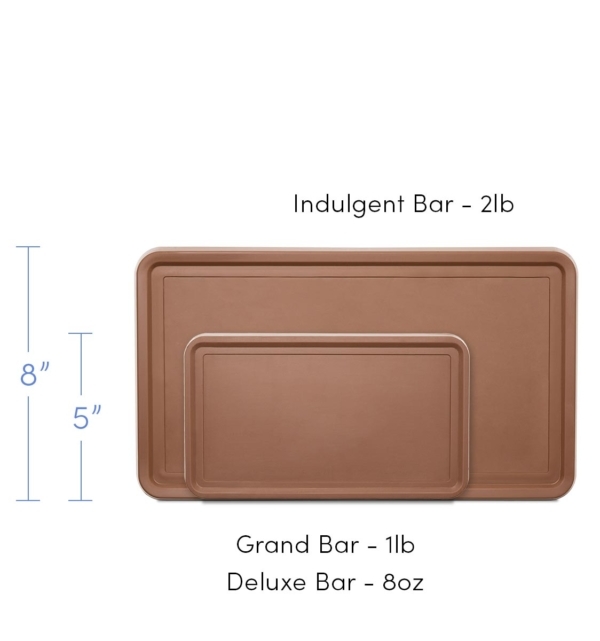 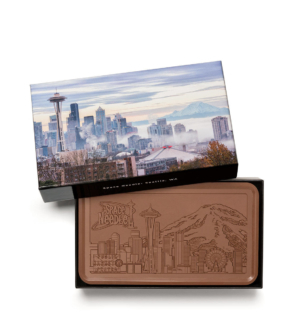 Your custom design is engraved in the Belgian dark chocolate center and surrounding Belgian milk chocolate on this 1lb custom bar. 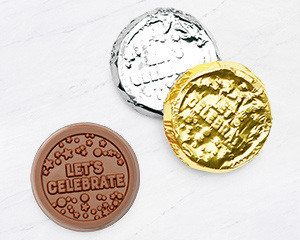 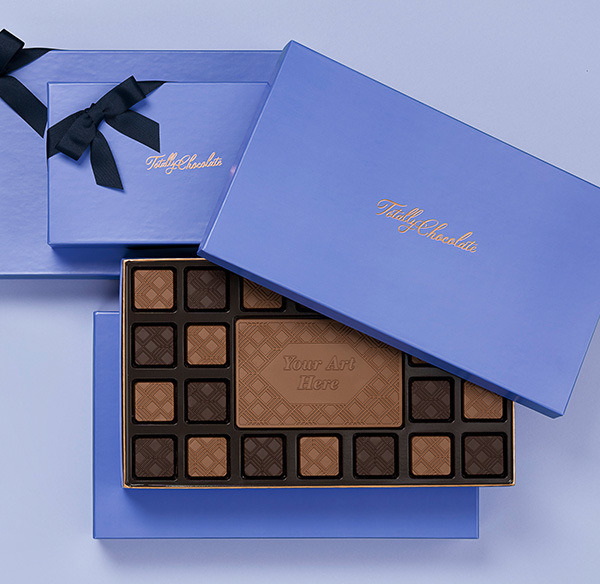 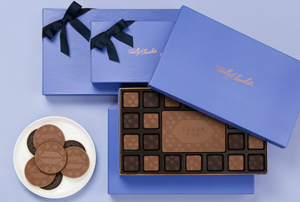 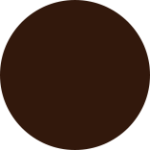 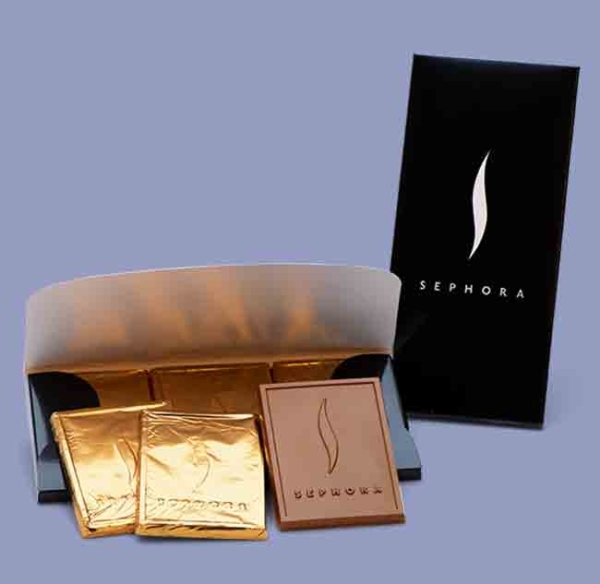 You can also choose to reverse it, with a Belgian milk chocolate center surrounded by Belgian dark chocolate. 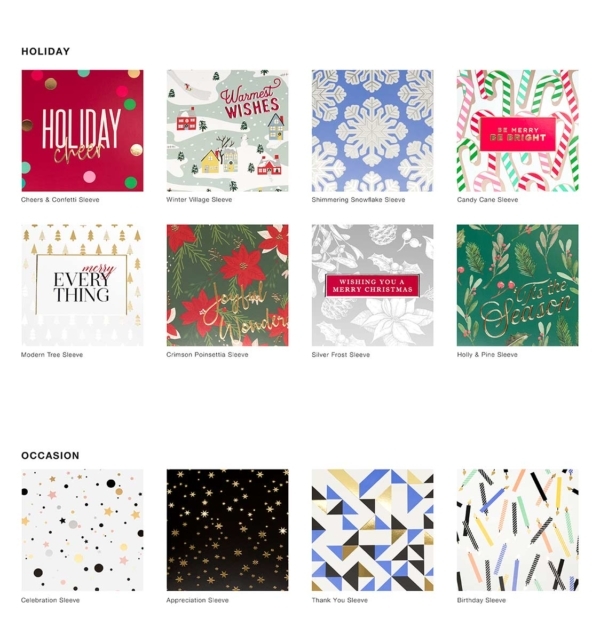 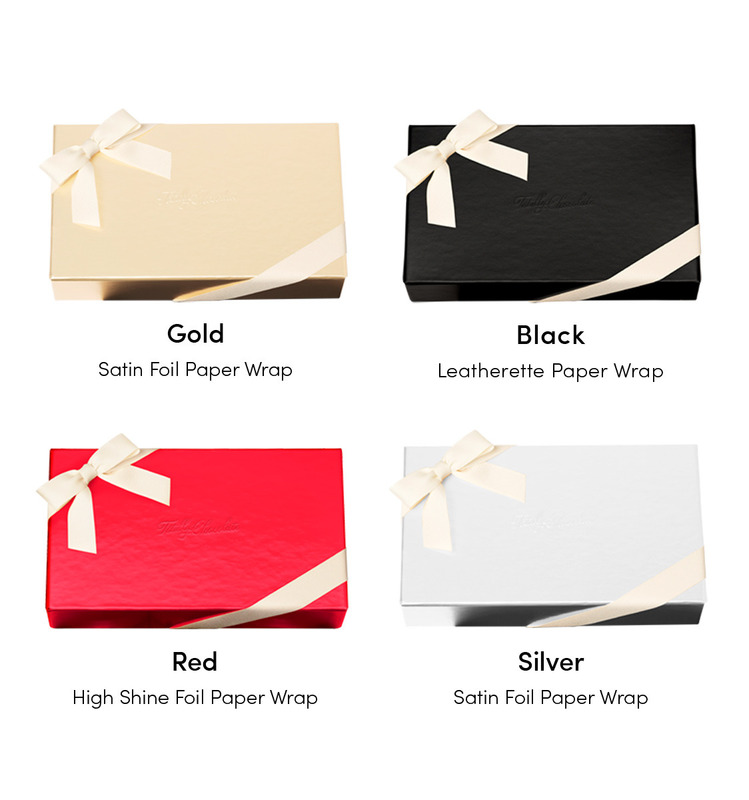 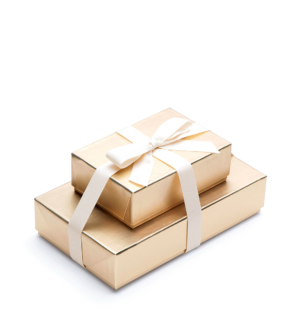 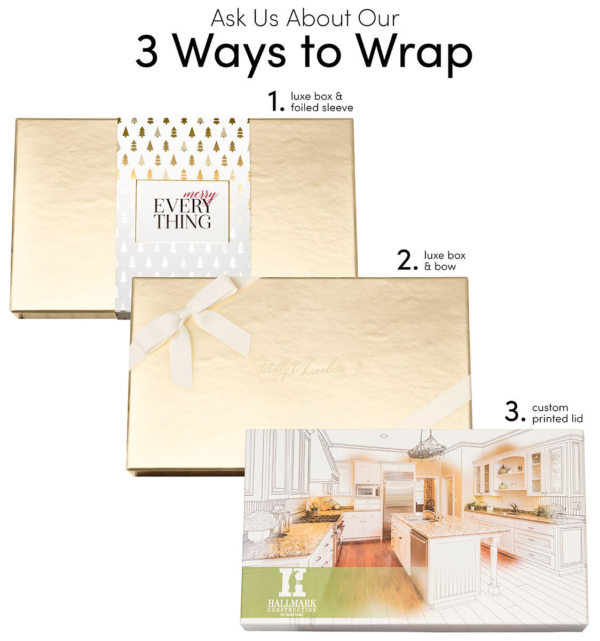 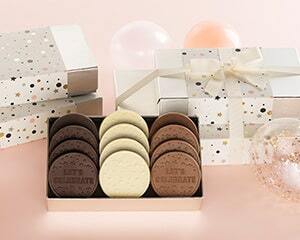 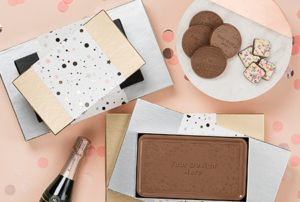 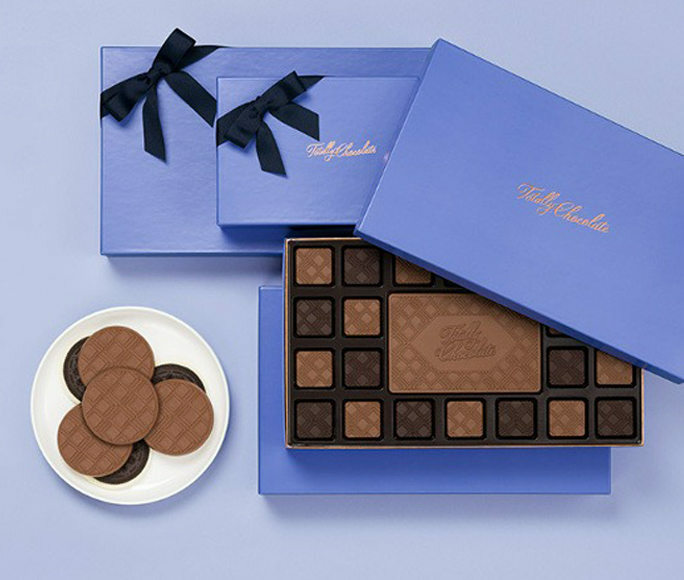 Wrap in one of our beautiful gift box lids with a hot stamped decorative sleeve or cream ribbon, or design your own fully custom printed lid. 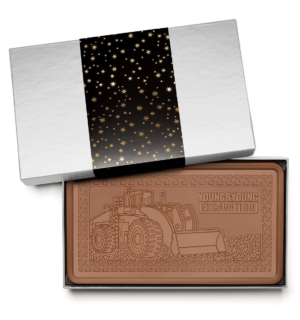 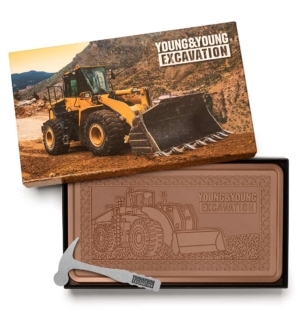 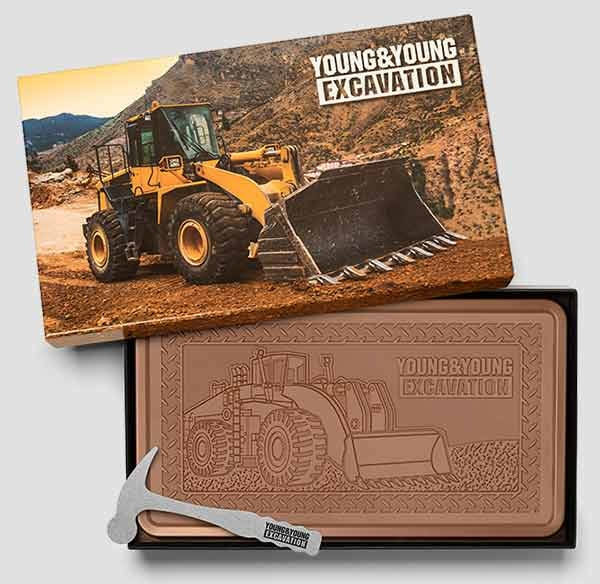 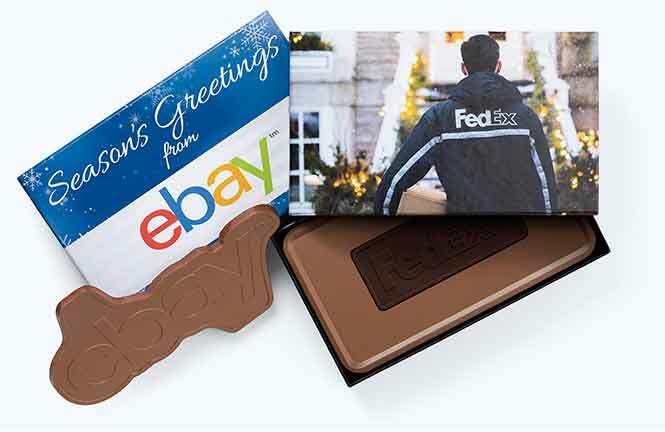 Ask about purchasing our chocolate smashing hammer, too, to add an extra special touch to your gift! 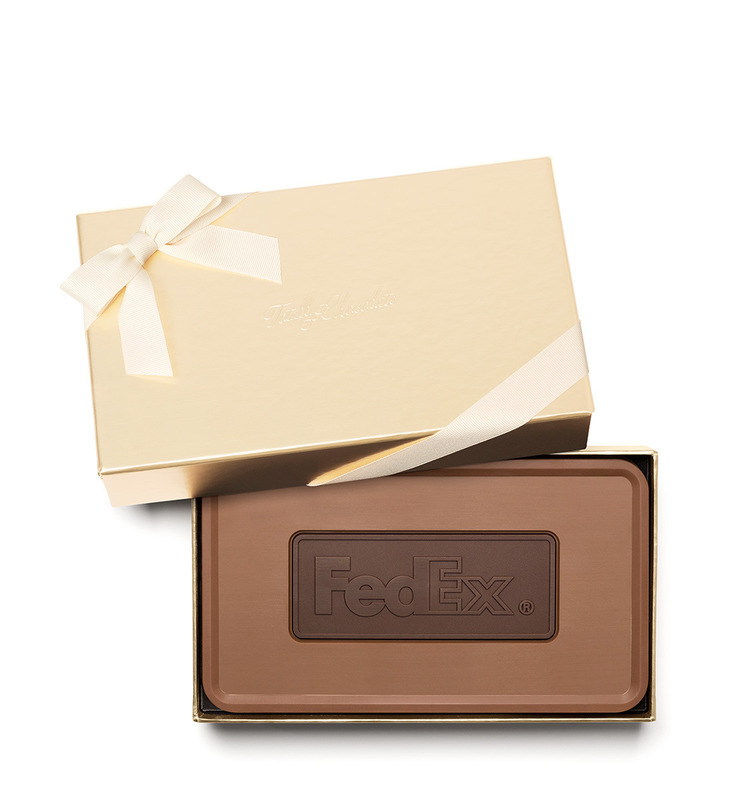 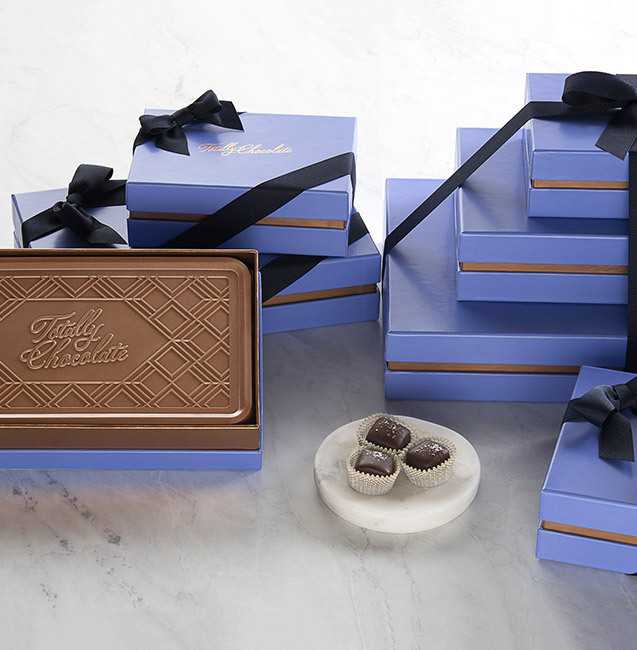 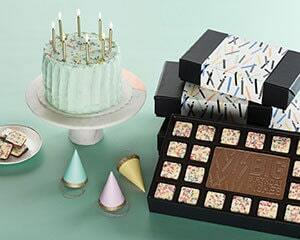 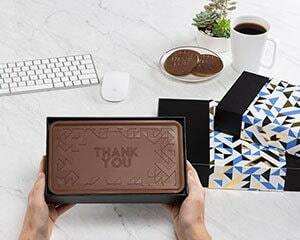 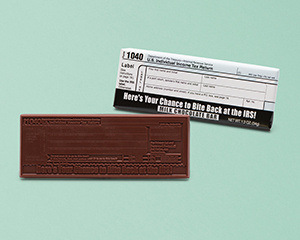 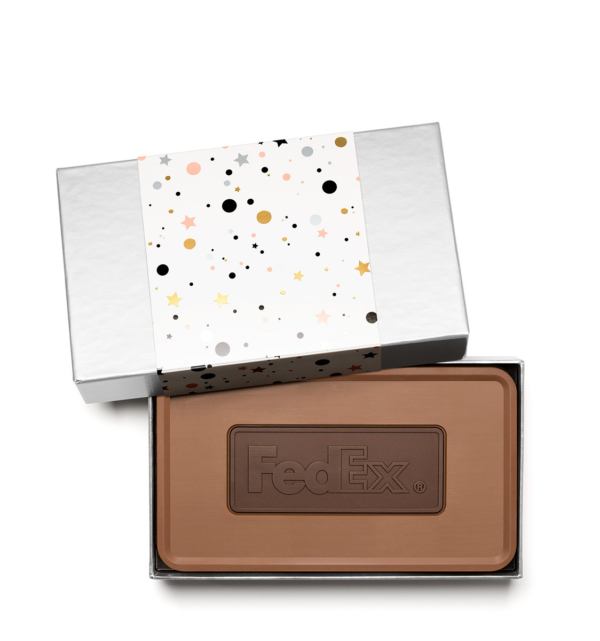 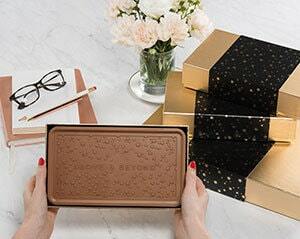 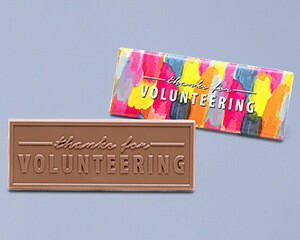 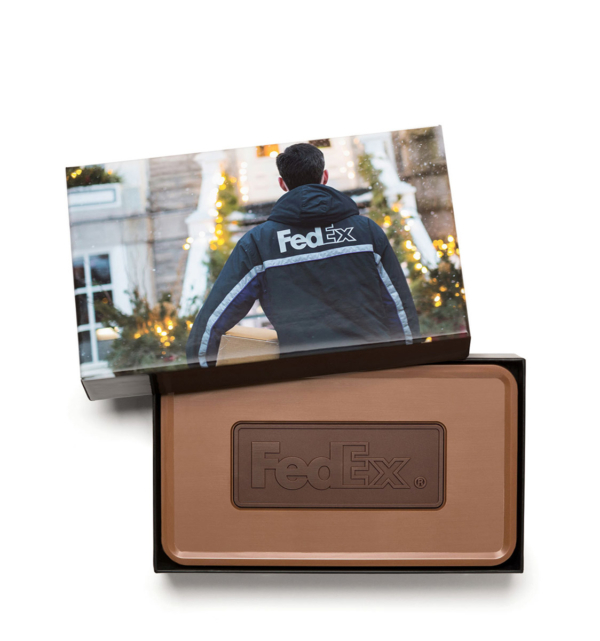 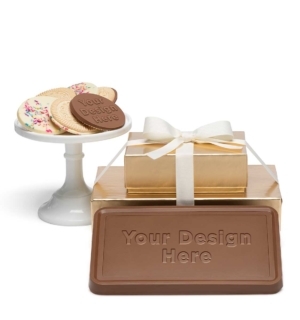 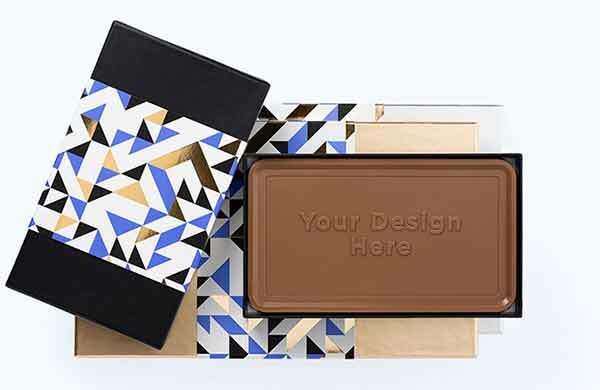 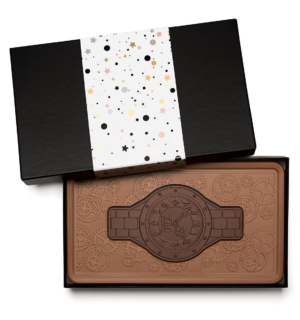 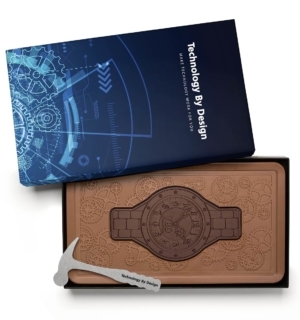 Call or chat today for more information on how to customize this chocolate bar!